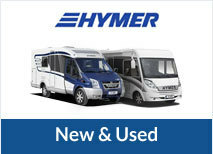 Stuttgart was the venue for the reveal of three new exciting Hymer launches this week. 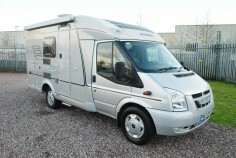 Also at the show was the new Hymer E Bike. The bike is based on the same design principles as Hymer motorhomes and features a 250 W Panasonic motor, LED lighting and folding handlebars and pedals. A comfy saddle and a luggage rack with water proof bag are also included. The CMT Holiday Exhibition Show attracts around 2012 exhibitors every year, from the leisure and trade sector and is held in the Messe in Stuttgart. It is one of the largest caravan and motorhome shows in Germany where some 241,000 visitors congregate to see what’s the latest in travel-related culinary, nature and adventure services and products.